WAPA CEO Hugo Hodge Jr.
CHRISTIANSTED – Hugo Hodge Jr. will be forced to quit the Virgin Islands Water and Power Authority after eight years on the job after a vote to renew his contract deadlocked in a 4-4 tie. Half of the WAPA board made up of three Mapp administration appointees and Buccaneer Hotel owner Elizabeth Armstrong cast the deciding votes Thursday to keep Hodge from continuing on at the authority. He leaves office in June. Voting against renewing Hodge’s contract were DLCA Commissioner Devin Carrington, DPW Commissioner Gustav James and IRB Director Marvin Pickering and Armstrong. Voting for renewing Hodge’s contract was Christiansted attorney Gerald Groner, St. Croix businessman Noel Loftus, St. John marine expert Cheryl Boynes-Jackson and St. Thomas educator Juanita Young. Hodge was nominated to the position he now holds by former Gov. John de Jongh. As executive director and CEO, the St. Thomas native was responsible for 598 employees at WAPA on three islands. During his tenure, Hodge often got the optics and public relations wrong. This year, he called out Isle 95 owner Jonathan Cohen for not paying $195,000 in past due bills after the radio station threatened to go off the air in a protest over high electricity rates. In May of 2015, people with access to the WAPA Richmond plant destroyed a bulldozer valued at nearly $1 million dollars and a vehicle valued at $20,000 when they set fire to them in a protest over off-island hires by VITOL. And when St. Croix lost electricity during Hurricane Omar in 2008 people in Gallows Bay spotted Hodge at a local coffee shop drinking, eating and laughing for an extended period of time while the majority of the island was without power. When St. Croix was sent into a blackout spiral for 13 hours in April 2015, Hodge’s chosen spokesman Jean Greaux, former spokesman for Governor de Jongh, refused to answer a reporter’s question about how many customers WAPA has on St. Croix. Hodge and Greaux still have not answered the question. Hodge said he plans to stay on at WAPA until his very last day to oversee the propane conversion projects underway on St. Croix and St. Thomas. This week the U.S. Army Corps of Engineers approved a needed mooring permit that will allow the work on the capitol island to begin. Former Gov. 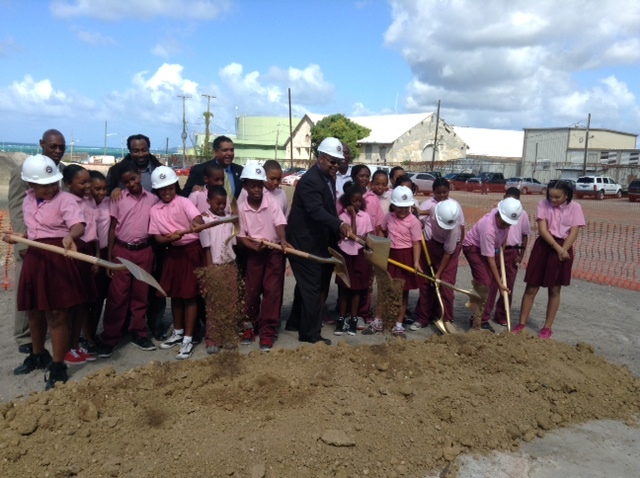 John de Jongh with WAPA’s Hugo Hodge surround themselves with Juanita Gardine Elementary School students for the groundbreaking of the propane project on St. Croix. Be sure to download the free Virgin Islands Free Press app from the Apple Store to get push notifications for new stories! 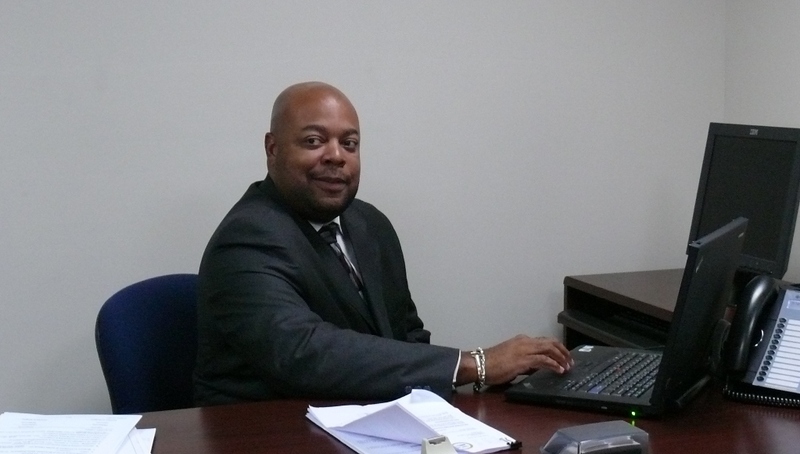 Tags:Virgin Islands Water and Power AuthorityWAPA CEO Hugo Hodge Jr.